Victims* of crime should be given the chance to make a statement in court about the impact the offence has had on their lives, the victims*’ commissioner for England and Wales has said. Baroness Newlove said 15% of victims* had been given the opportunity to make a victim* statement in 2015/16. She said there had been little change since 2013 – when figures were first complied – and “more needs to be done”. The Ministry of Justice said it will spend £70m helping victims* this year. As part of an official code of practice, every victim* who reports a crime is entitled to write a statement about how the offence has affected their life. If a suspect is convicted in court, a victim* statement can be read out before sentencing – as well as later at a parole hearing. However, in a report about the situation in England and Wales, Baroness Newlove said victims* given had been given the chance of making statements in only 15% of cases. The right of victims* to make a statement should be enshrined in law, the commissioner added, with sanctions for police and other agencies if they did not offer the service. 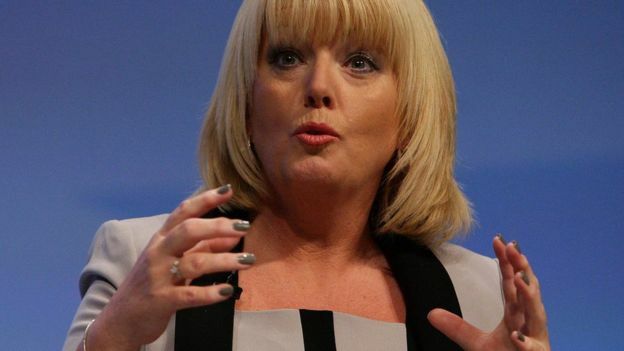 “Enough is enough,” said Baroness Newlove, who has campaigned against violence since her husband, Garry, was attacked and killed by youths outside their Warrington home in 2007. “No-one can claim that victims* are ‘at the heart of the criminal justice system’ when these figures suggest that the Victims*’ Code is no more than a wish list,” she added. A Ministry of Justice spokesman welcomed the report, saying it would consider its findings carefully. The government has allocated £67.85m to Police and Crime Commissioners (PCCs) in 2016/17, and again in 2017/18, to support victims of crime, the spokesman said. “It is vital that blameless victims see swift and certain justice, which is why we have protected the victims’ budget and given PCCs almost £70m to support victims in their areas. “We have long committed to strengthening victims’ rights, to ensure the most vulnerable get the support they deserve,” the spokesman added.